Before we left the driveway Saturday morning, we turned on a promotional video to show the kids where we were going. They were speechless. Speechless. That reaction speaks volumes. My kids are talkers. Cate sometimes refers to herself as a chatterbox. I’ll take it. Greg and I are terrible at gift surprises. We get excited and give them early. The night before we left felt like Christmas Eve. I was about to explode with the news of the trip they didn’t even know we were taking, but the anticipation was so fun. Plus I wanted them to sleep before we filled Fall Break with amusement park rides, sugary treats, and all sorts of adventure. That’s right. We went to Disney World. As we’ve settled back into our regular life, people ask us what our favorite parts where. 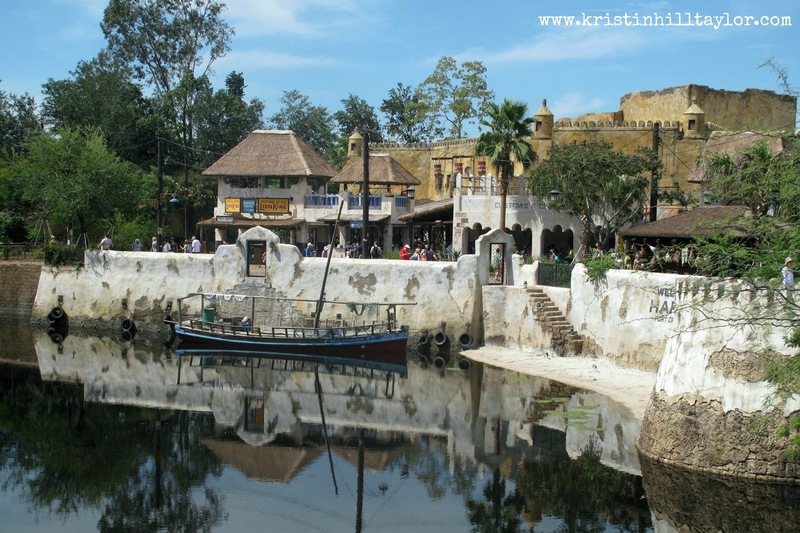 It’s hard to say, really, but, personally, I was most pleasantly surprised with Animal Kingdom. I loved it there. 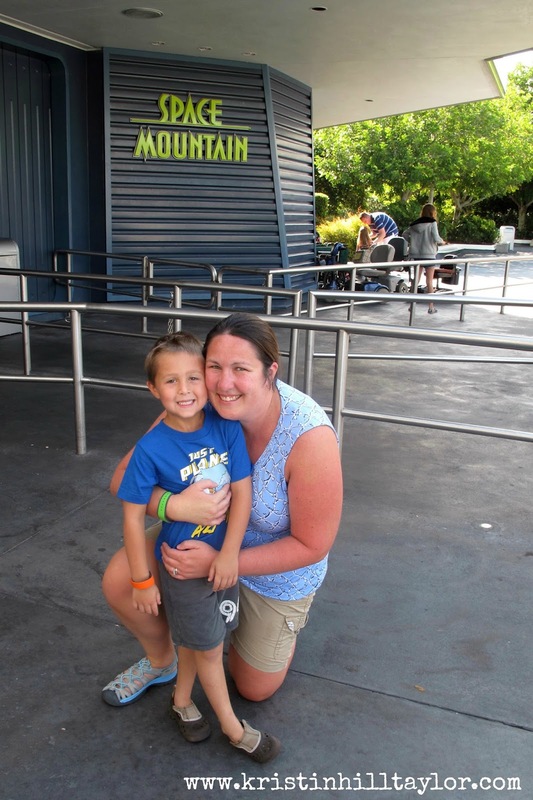 Ben will tell you his favorite ride was Toy Story Mania at Hollywood Studios. Cate starts naming roller coasters at Magic Kingdom, but not Space Mountain, where she wasn’t a fan of the darkness. Greg liked several of the shows. But I didn’t let our reflections start there. 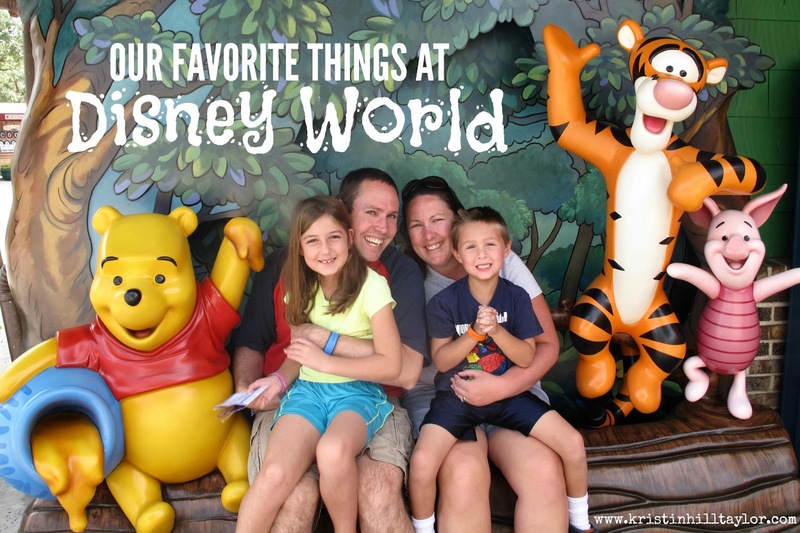 Before we even left Orlando, I asked each person to list their five favorites. Even that was difficult (and not everybody could even limit it to five!) because the whole week was so much fun, but we did our best. We also enjoyed our character meals at Crystal Palace at Magic Kingdom with Winnie the Pooh, Eeyore, Piglet, and Tigger; Animal Kingdom’s Tusker House with safari Donald, Daisy, Mickey, and Goofy; and Hollywood & Vine at Hollywood Studios with Disney Jr.’s Jake, Sofia, Handy Manny, and Doc McStuffins. 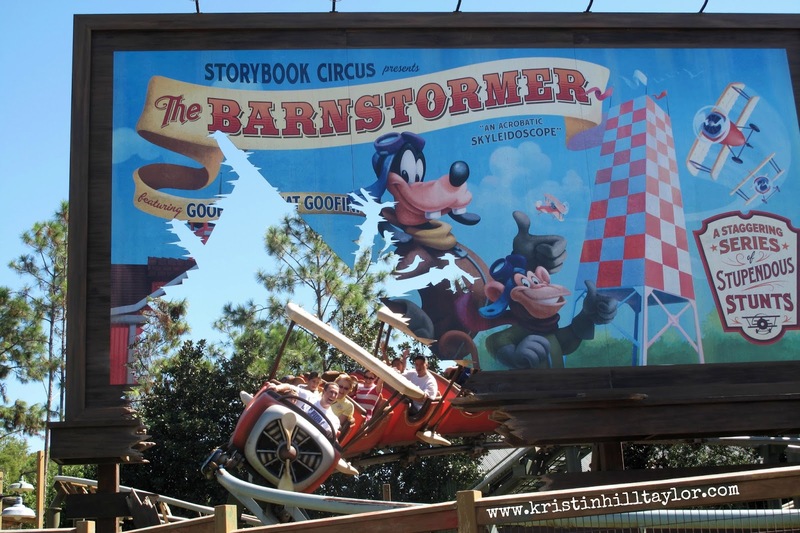 What’s your favorite Disney attraction, show, or restaurant? There will be more Disney posts coming, so stay tuned! And feel free to throw questions my way. You can see all my pictures here. I should also note my mother-in-law went with us and is one of my favorite people to travel with. I would have included her favorites, but she flew out of Orlando before us and joined another trip touring the Northeast. Perhaps she’ll join in the reflections when she returns! Beth, Greg knows EVERY word to the whole soundtrack. Obviously, we listened to it often for awhile. I'm guessing it'll make another appearance in the mini van soon. 🙂 It's good to see your smiling face here, sweet friend. What fun! 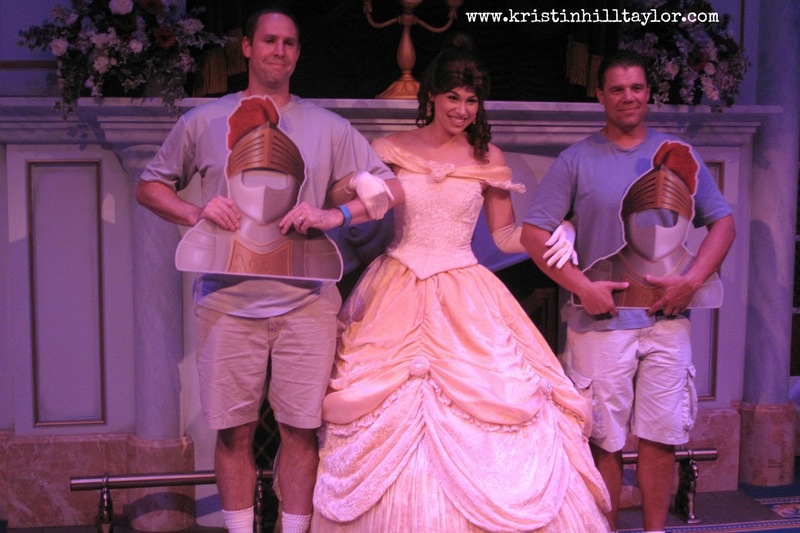 I was at Disneyland as a child but my husband has never been nor did we take our daughter (who is now grown…). I saw a TV special on Animal Kingdom and was impressed – glad you had such a great time. That sounds like such an amazing trip. I find it hilarious that Greg loved the frozen sing along, he is such a big kid at heart. I can't wait to be able to take my babygirl to Disney. I am so happy for you and your family and am so thankful to call you not only and friend but my family as well. I love you guys. He's a big kid indeed … in the best kinds of ways! 🙂 Thanks for your sweet comment, Charity.